The much-awaited Consumer Electronics Show 2018 is here! WHEN AND WHERE IS IT GOING TO HAPPEN? 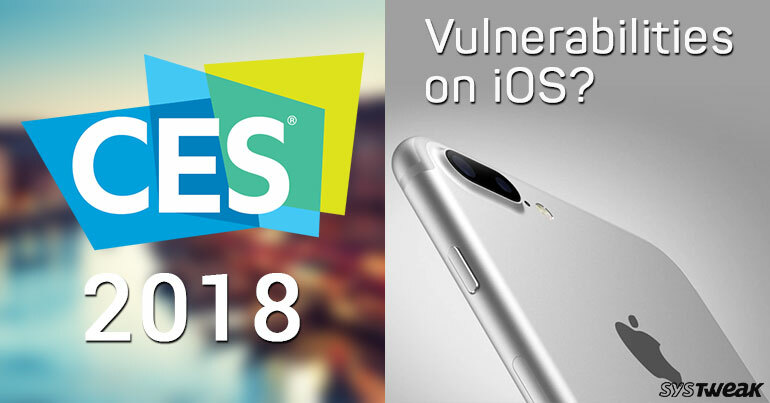 The Consumer Electronics Show 2018 is starting from 9th January up till 12th January 2018, at Las Vegas. All the electronics companies across the globe will showcase the latest gear and accessories which might mesmerize you this year. There was a time in past when Virtual Reality was the next big thing. This year, it looks like VR will fade and Augmented Reality will be the talk of the town with Apple’s new ARKit framework., Niantic’s Pokémon Go and much more. Get ready for another round of 4K HDR TVs at CES 2018. LG will showcase paper like OLED TV and Sony will highlight its latest OLED sets. TCL, Samsung, Panasonic, Sharp and other companies will also show off their latest LCD models. This year, you might get to see some more wearables with GPS watches, brain headbands and AR glasses, connected blood pressure monitors, medical alert devices designed for seniors, fertility monitors, gluten sensors, and sleep trackers. There might be an addition to home tech as well. This year, the focus of gamers might get shifted back to PC with inexpensive peripherals, readymade PC bundles for graphics-intensive gaming and VR, and more. Moreover, PC game lovers can also think of building a Steam Library. With most of the Smartphone companies now releasing devices with wireless charging technology, you can expect to see wireless charging accessories in all shapes and sizes, and also you will get a variety of cases. Rapid change in technology has boost up the need for innovation. You will see new gadgets such as headphones, smart home gear, wireless chargers and more to make your life easy and manageable. Like every year in CES, some technology will be launched and will make you feel the importance of innovation. The next year, there will be some other tech will be there to replace the old one. New vulnerabilities named Meltdown and Spectre surface in iOS. APPLE IS IN TROUBLE AGAIN? Apple has been in the news recently for slowing down its old phones intentionally. Now a new issue has arisen. Meltdown and Spectre are the bugs which have been affecting almost all iOS devices, which is a big reason to worry. These bugs make it easy for hackers to gain access to devices, making it vulnerable to the fear of getting the sensitive information stolen. As every time an issue comes, the company tries to resolve it and releases a patch. According to the latest rumor, it might make your old devices run slower. This might make you panic a bit! HOW TO AVOID GETTING AFFECTED? Apple has acknowledged the issue and also provided a tip to avoid the bugs. Apple has said not to download apps from untrusted websites. Instead of downloading from untrusted sources, you should download apps for your iOS from App Store. Well, Apple is not the only company in the pit, Microsoft and Android have also acknowledged the fact. They have already released updates and patches to address the vulnerability. Apple was the last one to accept that iOS device is also affected. Also Read: How To Enable “Type to Siri” In iOS 11? In this era of technical advancement, users have to take responsibility for their devices cyber safety. The smartphone companies are working their angles and releasing patches to make security tight but we as a user also have to make sure, we don’t blindly follow the shiny things.